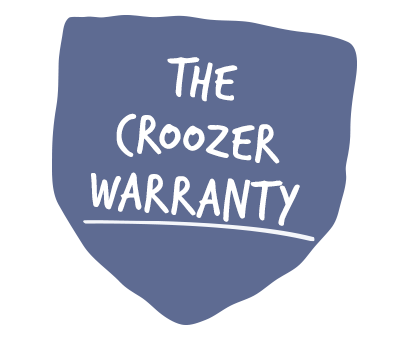 With the Croozer, you get all 3 options in 1 package: converting your bicycle trailer to a practical stroller or a sporty jogger is as easy as 1,2,3. This means that you’re always flexible and well-equipped to roll with whatever your daily, action-packed family life brings you. The Click & Crooz® fastening system lets you switch between trailer, stroller and jogger modes with the press of a button. 2 universal hitches included. The hitch arm is equipped with a rotatable, lockable hitch connector. 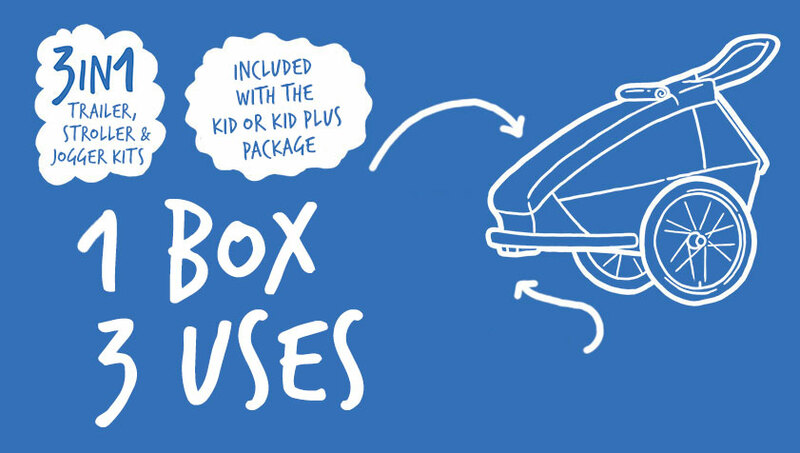 Important note: the hitch arm must be installed on the left side of the Croozer (relative to the direction of travel), and accordingly, the hitch is mounted to the left side of the bicycle. Always remove the stroller wheel before pulling the Croozer as a bicycle trailer. For a relaxed walk through the city or park. The 6” stroller wheel with solid-rubber tyres and 360° swivel action makes it easy to manoeuvre in tight spaces. Important note: be sure to clean the stroller wheel and its socket periodically, e.g. after excursions in wet and muddy conditions, to keep it spinning and rotating freely. The 16” spoked wheel and 2 wheel arms can be mounted in a jiffy – then you’re all ready for a brisk walk or jog in the park! The jogger kit is also the right choice for family nature walks or leisurely strolls along the beach. The front wheel alignment can be easily adjusted using the two rotary knobs at the ends of the wheel arms. Learn how easy it is to switch between the three modes! In our short video, we show you how to securely attach the hitch arm to your Croozer and hitch the trailer to your bicycle, how to attach the stroller wheel with a quick click and take it off again with the press of a button, and how to mount the components of the jogger kit in a few easy steps. Enjoy watching! Click & Crooz®: How it works!